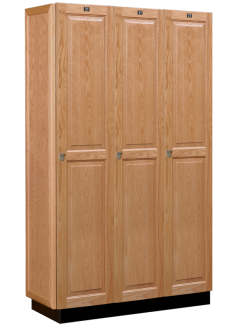 If you are looking for wood lockers, you've found the best, most cost-effictive source! Select the type of lockers that fit your needs and then give us a call. We're here to help! These lockers come ready to assembled, are chemical resistant and stand up well for their intended use. 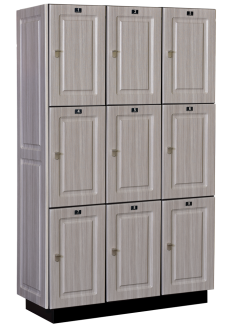 Get years and years of service with Allwood Club Lockers. Built from strong hardwood plywoods and trimed with solid hardwood nosings. These lockers come fully assembled, are chemical resistant and stand up to lots of abuse. Choose your Lockers! Pick your style, width and quantity for a complete delivered estimate! Lockers are fully assembled when they arrive. No lengthly instructions to read. Please provide a street address and we will send samples of colors and materials used in our lockers! "They are stunning and the craftsmanship first-rate. 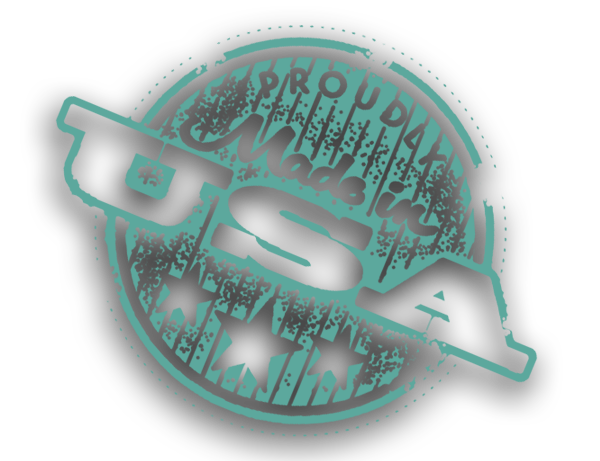 Thank you for the care used in shipping them and the particular attention to detail." 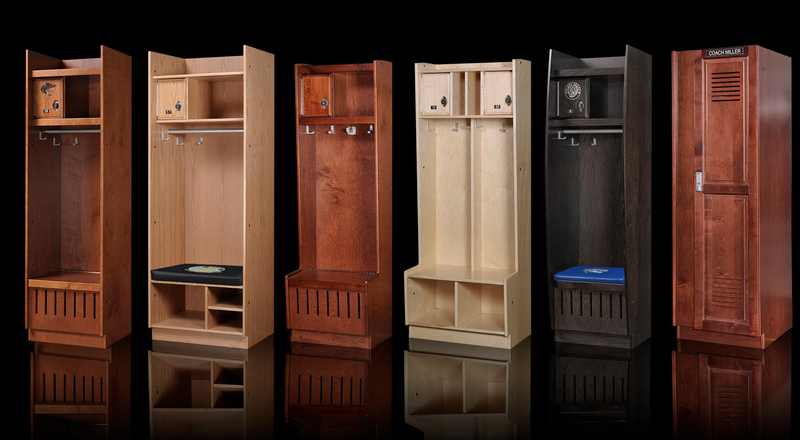 All Wood Lockers are built in the USA, made to last and come with one of the toughest UV finishes available. Built from strong hardwood plywoods and trimed with solid hardwood nosings. These lockers come fully assembled, are chemical resistant and stand up to lots of abuse. A beautifully crafted product that stands the most important test. ... The test of time! 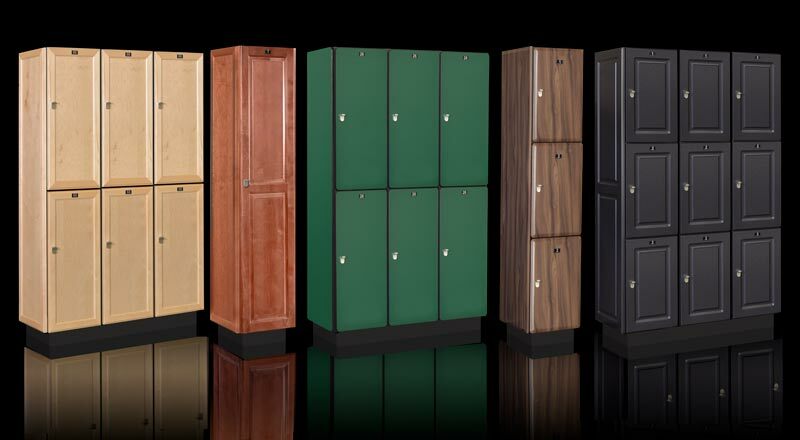 Get years and years of service with Allwood Sports Lockers.